With this current snow storm upon us we would like to take this time to remind everyone to stay off the roads unless absolutely necessary, during this storm there will be occasional blizzard conditions with heavy snow and blowing snow. Accumulations of 8-12 inches are expected. 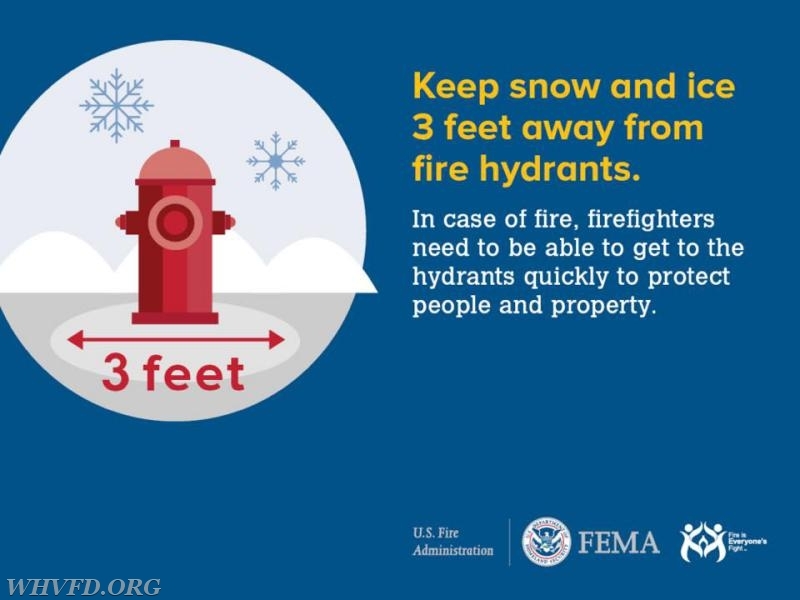 After this storm we would like to remind everyone to please clear 3 feet around your nearest fire hydrant in all directions so it’s easily accessible to firefighters in the event it has to be used. Thanks and be safe.